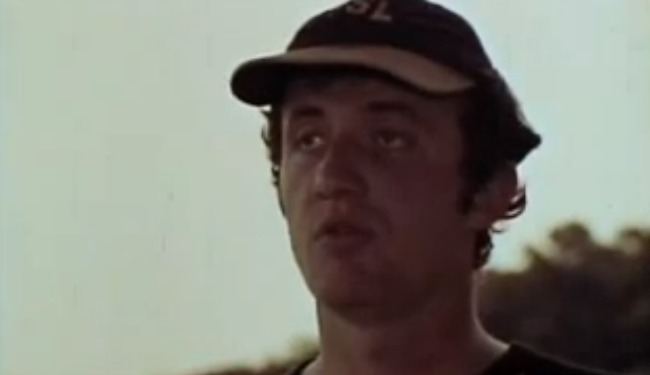 Long before Breaking Bad, actor Jonathan Banks played a dangerous ... -ly misinformed stock boyfriend. "Do you think your period could have caused the rain?" "Is it true that meat spoils in the presence of a menstruating woman?" "You can't go swimming; you're having your period." These misconceptions and more are addressed in 1974's Linda's Film on Menstruation, produced by the New York State Council of the Arts, starring actor Jonathan Banks. Even playing a confused teenager, Banks brings the same engaging, soft-spoken irascibility that he does as Mike Ehrmantraut in Breaking Bad. At any moment, he might take a life. This time, though, Banks' quest begins when his girlfriend tells him that blood is coming out of her uterus. He is so stricken that he cannot continue bowling. Fortunately, a stranger in dark glasses overhears and begins explaining.